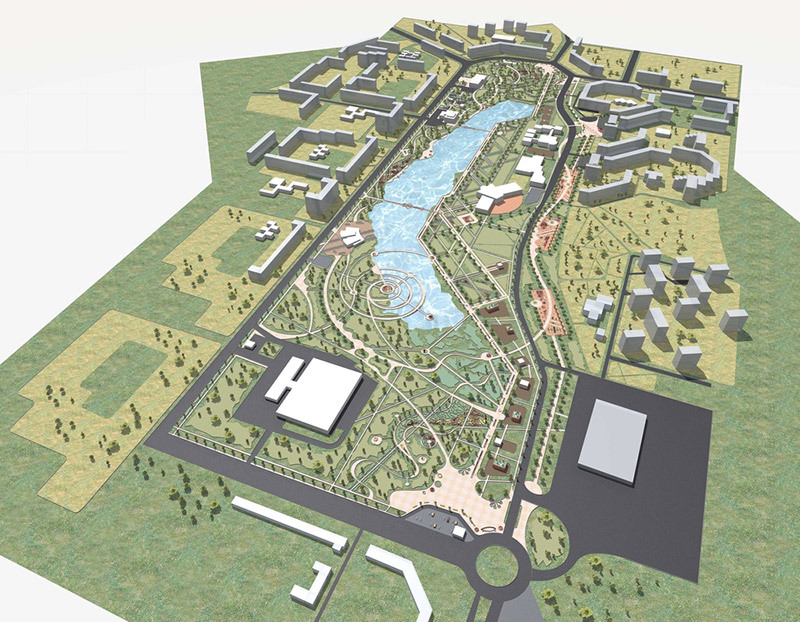 Through the master planning process, development can be concentrated into a more dense, mixed use pattern, while setting aside open space for parks, wildlife habitat or watershed services. Given the keen interest by some communities in pursuing the sale and development of trust land parcels within their jurisdictions, development of state trust lands within the Verde River watershed continues to be a possibility. However, the number of state trust land parcels that will be sold for development in the region are likely to be few, given the massive inventory of high value urban lands that the Arizona State Land Department (ASLD) has already prioritized. But even if trust lands are sold for development in the Verde River watershed, there are still opportunities to engage in the land use planning process to minimize the impacts to the watershed. The master planning process offers opportunities to explore whether a conservation development could be pursued that includes significant open space set-asides. Such set-asides could protect areas of the parcel that may have particular value for watershed function and could reduce both the physical and water footprint of the resulting subdivision. For many years, state trust land managers and stakeholders have discussed the potential for incorporating this type of thinking directly into the ASLD’s conceptual planning process when it’s preparing parcels for auction. Interest in the concept of “contributory value” – and its companion concept of “nonmonetary consideration” – continues. If developed, it would provide an opportunity for protection of watershed functions, as well as other environmental values, through the planning and disposition process up front. It is well understood that open space, parks, and trails increase quality of life and the value of nearby and adjacent properties. For the buyer of a new home, securing a desirable “view lot” bordering permanently protected public lands can be worth up to 25% of the base purchase price. While this concept is commonly applied to private property and developments, it has been slow to be recognized and captured in the context of state trust land management. The restrictions for managing state trust lands makes it difficult to recognize non-monetary returns on them, but a few states have experimented with ways to do so. However, defining and quantifying the contributory value of conservation of state trust lands remains a tricky business. The effects of conservation can be on a relatively small scale, affecting a neighborhood or development, or on a larger scale that affects an entire region. Contributory value is a concept that was first coined in 1986 in a book by B.G. Norton discussing ecological economics as an approach to measuring indirect benefits provided by environmental resources. According to Norton, contributory value assigns value to ecosystem services that are not due to their direct value to society, but are a result of their indirect role in maintaining features or supporting resources that do provide a direct value to people. A more simplistic definition can be found in real estate investment literature, where contributory value refers to the contribution of a particular feature or component to the value of the overall whole. Regardless of how it is defined, contributory value is widely recognized as being empirically difficult to assess, yet useful both in evaluating the benefit of environmental resources, and in appropriately valuing and marketing real estate. The related concept, nonmonetary consideration, can be most appropriately described as an alternative, non-cash form of payment or value exchanged in a transaction. The concepts of contributory value and nonmonetary consideration are closely related in the state trust land management context. In order to develop a system of accounting for the contributory value of state trust land parcels that are preserved, an accurate process for determining the appropriate value of the nonmonetary consideration provided by the preservation of those environmental resources or other benefits needs to be developed as well. There are several economic tools to assess this value, including hedonic pricing (a pricing method that estimates economic values for environmental attributes that affect market pricing), analyses of consumer willingness to pay, and other econometric models. The impacts of conservation have been repeatedly shown to yield a positive effect on adjacent, neighboring, and even regional property values, and hedonic pricing models can be used to quantify this effect. Private sector developers have used this type of data to make open space designation decisions in their own master plans, and logic would hold that state trust land managers could engage in similar decision making for their own conceptual plans and trust land sales and dispositions. Having a tool and process for recognizing and valuing nonmonetary consideration and contributory value would be extremely helpful in ensuring that significant environmental values, which then translate into higher market values, are appropriately accounted for on state trust lands. It would be another tool in the toolbox that could assist in making the case that preserving the ecosystem services values, like watershed function, of state trust lands would not result in harm to the trust beneficiaries. To advance this conversation, it would be useful to develop a methodology for monetizing the effect of contributory value and for identifying how to account for nonmonetary consideration on state trust lands. This would involve securing more complete data on land sales, particularly state trust land sales and appraisals where available, converting that information to spatial data files, and performing a hedonic regression analysis. Given the location-specific nature of the impacts of contributory value, it may be necessary to run multiple regression analyses to provide either regionally specific information or enough data points to estimate a range for the effect of open space on state trust land prices. Continuing this research and developing more easily quantifiable measures of contributory value would provide a concrete “proof of concept” that conservation of ecosystem services on state trust land would, from the perspective of the value of the trust portfolio as a whole, be rational and justifiable.